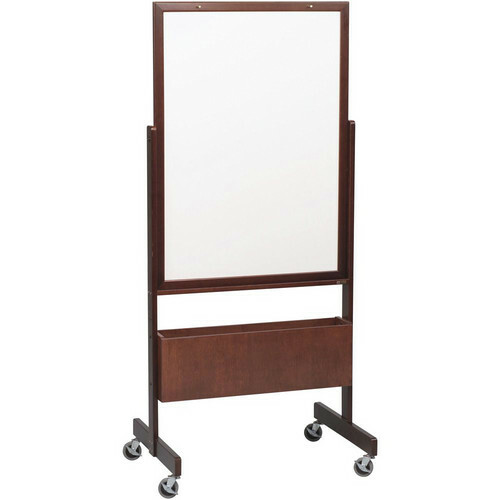 The Best Rite Quick Ship Nest Easel is an ideal teaching or lecturing tool. The steel, black powder coat frame is sturdy enough to support the 41 x 28.75" writing surface (which is adjustable from 65-72"), yet light enough to move easily on its casters. The double-sided, dry erase surface cleans easily and a black perforated storage box holds presentation materials such as erasers and markers (not included).